For us your wedding is about capturing those precious moments that happen on the day. we realise this cannot be refilmed. At LM Video we focus on capturing your big day and creating a video which is original and personalised to you, the bride and groom. 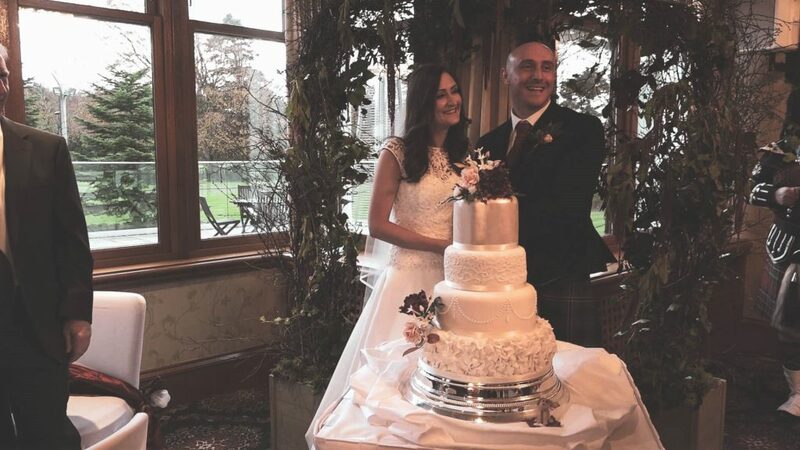 We have two camera operators using 3 Sony HD cameras as standard ensuring we can capture every special moment at no extra cost giving you a fuller picture of how your day went. We also have some smaller static GoPro® cameras that ensure we get the best angles and as many moments of your day that we can, to provide you with a final film that will capture your memories as they should be. we use sennheiser wireless digital lapel microphones which captures your ceremony and vows beautifully. 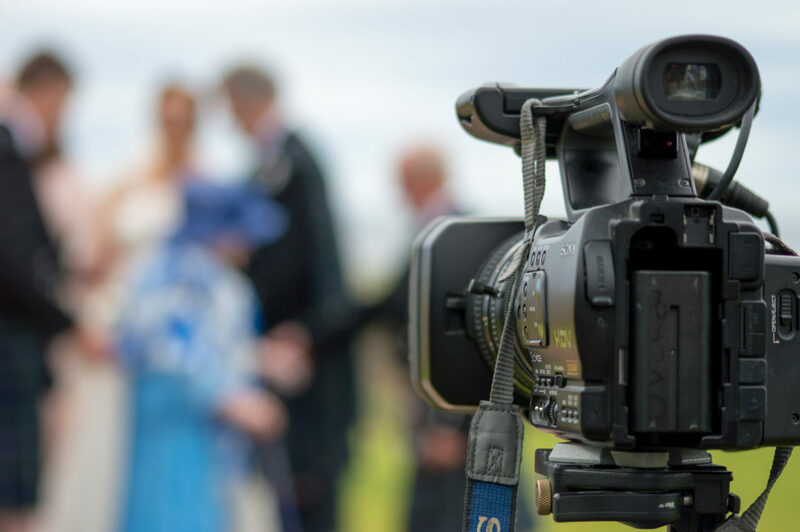 The videography team are experienced in and actually enjoy filming your big day, we won’t bite we are approachable, Honestly!!! being a videographer allows you to mingle seamlessly about on any wedding day. having a laugh and some fun with the bride and groom doesn’t mean we are not doing our job correctly but it relaxes the people involved which then shows on your final producted film. we normally use a minimum of two camera operators with three cameras, why may you ask?? we can guarantee at every wedding we film unintentionally you will always have people walk in front of the camera…Thankfully you will never know as we have options to cut to different cameras by having 2-3 sometimes 4 cameras ( doesn’t look like a film set thought ). lots of other videography companies charge between £150 to £300 for an extra camera operator, not us we do this as standard. Other companies may give you the option of a singular camera operator with 2 cameras, this is normally for the coverage of the ceremony, speeches and 1st dances missing out on what’s happening elsewhere especially if you leave the venue to go externally to have pictures taken……..Remember your wedding only happens once. that’s why we set up with multi cameras as standard. Video diary is a free service we offer, this is entirely down to guest participation. as these stills catch people looking so natural that you wouldn’t have had these captured from a camera!! £100. Drone and Ariel footage is £150 in Ayrshire £200 outwith. the package offers amazing ariel shots of the venue and surrounding area. 360 degree shots of the venue and fly overs too. We also catch the arrival of the wedding party and guests. Option B package offers everything included in the basic package but we will stay until the evening meal begins, basically after all the photos have been done and the evening proceedings begin, capturing aerial footage of your guests at the drink’s reception and the wedding party all outside mingling etc ( weather permitting of course ). We will also take a variety of aerial photographs throughout the day, images can be taken as stills for you to have too. We will spend as much available time with the bride and groom to capture a range of beautiful ariel shots within the venue grounds or where ever the photo shoot takes place ( based upon clearance of flying ). if this is not possible it will be downgraded to the mid range package and a refund will be given to any extra costs incurred. 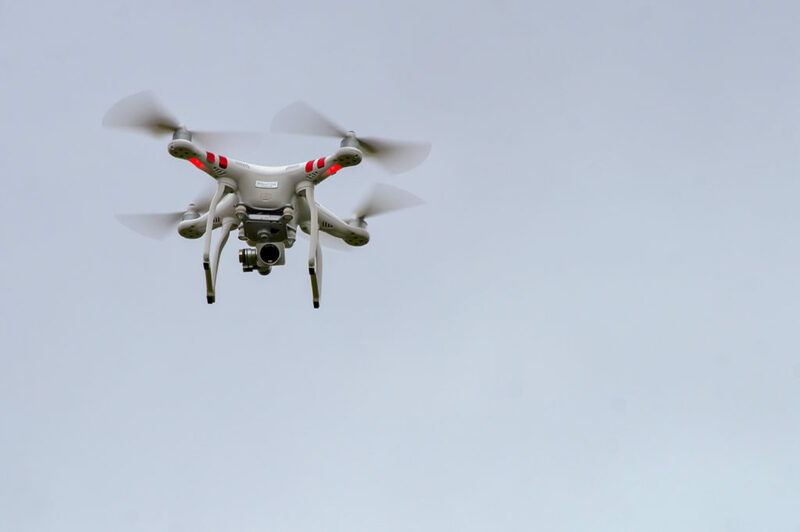 This service is carried out by a C.A.A registered UAV pilot. a legal requirement when filming commercially. this footage can only be provided under certain weather conditions. £100 non-refundable deposit required at time and confirmation of booking. We try to keep prices to a minimum but may have to charge an additional amount to cover costs in relation to distance. Balance to be paid in full 4 weeks before the actual event.